We don’t like wasting time, so we compared the best DVRs from TV providers and third parties for the most efficient use of lazy-time possible. We considered over 200 DVRs and compared features such as storage, playback controls, recording abilities, cost, and whole-home connectivity. We ran through a list of over 200 DVRs and weighed features important for average users. We sought out enough storage so you don’t have to mess with it very often (if at all), enough connections to power each of your TVs, and special features that make it easy to get in and stay in the zone. Of course, there are costs and other considerations, but we’ve focused on what makes a DVR worth your time. While there are plenty of great options, and a lot come directly from cable TV providers, it turns out the best DVR is TiVo’s Bolt+. It’s no shock the original DVR champion reigns supreme. The Bolt+ acts as a cable DVR and online streaming device. For a consistent piece of equipment, regardless of your provider, this TiVo device is our favorite. We love skipping commercials on the top 20 channels with SkipMode. Other DVRs may have fast-forwarding, but you end up missing the beginning of the scene, rewinding, then fast-forwarding…it gets tedious. SkipMode skips that part of TV. QuickMode is great because you can breeze through a show 30% faster with audio at regular pitch. If you spaced out during dialogue or a plot explanation, you can quickly back up and catch it without re-watching the whole thing at regular speed, plus no helium voices! With 4K resolution, the TiVo Bolt+ has app support for HBO Go, Netflix, Hulu, and Amazon Prime Video. Plus, the fluid interface uses OneSearch, so if you want to watch Deadpool or Star Wars: Rogue One but aren’t sure which service it’s available from, you won’t have to jump between apps. If you want Over The Air signals (which we cover below), the Bolt+ won’t work. The standard version, TiVo Bolt, does, but it comes with 1 TB less storage and two less tuners. TiVo Minis are a bit expensive at $100 per unit, so connecting your whole home could be pricey. The only other negative to the cable-only TiVo Bolt+ is that, since it’s not proprietary equipment from a service provider, you may run into additional fees, and possibly even functionality problems (however, we had zero issues). Who should get the TiVo Bolt+? With the TiVo Bolt+, you can expect average DVR service costs of $15 per month, or you can opt for a longer contract (either year or lifetime) that will save you money. A year costs $150 total, saving you $30 overall. Or if you’re willing to commit to a “lifetime plan,” you can pay $550 once up front, which hits our cost-effective mark at about three years. If you don’t want to fuss with your equipment, and if you want something that works and will hold its value, this is definitely the way to go. The DISH Hopper has been around for five years, and its latest version, Hopper 3, takes things up a notch. Hopper boasts 2 TB of storage, records up to 16 streams, and connects up to 7 TVs from the main unit. Plus, it saves us time with commercial skipping, voice control, and remote finder. It has by far the most storage as well as the most useful features from a provider DVR. Hopper has 2,000 SD hours, which is a ridiculous amount— perfect for binge-watching shows like Seinfeld, How I Met Your Mother, or Survivor. If you’re a fan of HD, 500 hours is nothing to scoff at either—you can record and watch over 160 different 3-hour-long indie flicks from IFC, HBO, or Sundance Channel. Hopper has the most recording streams of our list with 16. You can connect up to six additional receivers from a single Hopper for a total of seven TVs from one Hopper. If you’re looking for Over-the-Air recording (free broadcast signals that can be picked up by antennas), you will need a separate USB antenna, but other than that, the Hopper is good to go. It will even send signals to your Joey units (additional receivers), so the whole home is hooked up. What really makes the Hopper jump(!) out is its special features: AutoHop, voice control, and remote finder. AutoHop skips commercials with a single button, no guesswork needed. The voice control remote means you don’t have to select and type individual letters into your search, while the remote finder is a lifesaver for anyone who has spent more time looking for the remote than watching their show. Hopper 3 is Bluetooth compatible for headphones and other devices, which is nice if you want to watch TV privately. That way, if others are asleep or studying, you can still catch up on your shows. It’s hard to say anything negative about the Hopper, since it has just about everything that we need from a DVR. Perhaps because it’s the current gold standard, we don’t have much to complain about—except that we wish it was absolutely free. Who should get the DISH Hopper 3? If you’re looking for a new DVR, the Hopper 3 can be a great option. If you have DISH, you might as well stick with the Hopper 3 instead of getting the TiVo Bolt+. While the extra terabyte of storage might sound nice, it’s not that practical to purchase a new DVR for that reason—just add an external hard drive if you need more. We like to pause the game to grab snacks or use the bathroom, but DVRs are also great when life interrupts your flow, and you need to help someone in with the groceries or drop the kids off at practice. Plus, if you’re coming home late from work or just want to avoid ads, you can start recording, give yourself 5–10 minutes of prep-time, hit play, and watch the game “live” with all the conveniences of playback control, despite being offset from the rest of the world just by a bit. DIRECTV Genie lets you set your DVR from anywhere, so if you’re at work and realize you won’t be home in time for the playoffs, you can set it to record from your mobile device using the app. With the DIRECTV Genie, you can also pause and rewind live HDTV for up to 90 minutes, so even if you forgot to set the recording before you went to work, you can still catch up. Instant replay goes six seconds back, so you don’t have to wait for the highlight reel, either. You’ve got a 30-second fast-forward button that cuts past ads, boring halftime shows, and scoreless runs. You can assign Genie to your favorite team’s entire season automatically (assuming you have access to the games). It’s way easy and way convenient, with no complicated menus to deal with. You can use your device as a remote, which is nice for quick searches, especially when you can say a player’s name but can’t exactly spell it. Watching multiple games is easy with picture-in-picture. Genie doesn’t just give you a little box in the corner but a full split screen. This is awesome for when commercials pop up during time outs—you can switch to the other game and know exactly when to tune back in to the main game. Plus, with so many features built into DIRECTV, you can keep your phone as a second screen. Genie doesn’t have as much storage as the Hopper 3 or Bolt+, but it still beats out most other DVRs. More importantly, it’s enough for the vast majority of us. Another minor complaint is the included remote control isn’t equipped for voice recognition. While you can use a device like your phone or tablet, we’d prefer the dedicated unit to have this feature. That way, we can use our spare device to look up other things, like player or game stats—or pizza delivery services near us. DIRECTV is the only TV provider to earn the EPA’s ENERGY STAR Partner of the Year award for its energy-efficient receivers. Who should get the DIRECTV Genie? Any of the DVRs on our list could work for sports, sure, but if you’re a football fan, DIRECTV is the only provider of NFL SUNDAY TICKET. On top of that, Genie gives you real-time scores of major games with the press of a single button. We recommend the Genie for a lot of uses, but it excels at sports. If that’s not your thing, you may want to opt for the TiVo Bolt+ or DISH Hopper 3. We’ve personally used the X1 for over a year now, and with that comes some appreciation for the simple things: we can pull up NBA playoff games easily, we can watch One Punch Man or American Gods on demand, and we can find more movies from actors we like. The on-demand library replaces titles often enough for users not to get bored. The other little conveniences X1 offers, like voice control, make TV more enjoyable. It’s funny how a simple feature can really improve your mood. While the XFINITY X1 isn’t the only DVR with a voice search remote (Hopper and Bolt+ have this feature, too), it was the first we’ve tested. Rather than being another failed attempt at voice recognition (*cough*Siri*cough*), it’s made watching what you want on TV so much easier. With the NBA finals, it’s a lot simpler to just say “NBA playoffs” than searching for channels or individual teams. Plus, the X1 guide even gives you player and team stats, so your sports experience is even more fluid. X1 uses Cloud storage, which is great for mobile users like us. We can pull up our recordings on our laptop through XFINITY’s mobile programming, XFINITY Stream, and if we want to transfer to the big screen, we can just plug in the HDMI cable. Plus, if we’re watching something on our phones or tablets, the time-shifting feature saves a lot of time and guesswork. Mobile features aren’t flawless, and we’ve had issues with latency and image quality at times. Also, the on-demand library is greatly reduced. Plus, only the most recent 60 hours of recording are available on the cloud, so it’s not quite a solution to limited storage. Who should get the X1 Cloud DVR? Comcast’s XFINITY service is the largest cable provider, serving over 40 states. If you’re subscribed to XFINITY, we don’t see any major reason to switch to a different DVR. While more storage and special features would be nice, the X1’s ease of use and mobile abilities have been satisfactory. However, if you’re not looking to sign up for internet too, we’d advise looking at another DVR because the functionality is severely reduced when you’re not connected to the internet. No storage, no HDMI out, but it works and it’s cheap! The Tablo 2 is a third-party DVR that we’d recommend for users who want to get Over-the-Air signals—-which are free signals that anyone can access with an antenna—for (nearly) free. With the cost of Tablo 2 hovering around $220 ($180 on Amazon at the time of this writing), it’s cheaper than TiVo and provider DVRs. This budget-friendly option is perfect for those who don’t want a cable subscription. What can I watch over the air? In our area, we found OTA networks like CW, PBS, PBS Kids, and then a handful of movie and shopping channels. A lot of people will find value in being able to tap into news networks and local sports. Couple that with the big four (NBC, CBS, ABC, and FOX), and you can build a decent library—even more so if you use a streaming device to connect the Tablo 2. Unlike provider DVRs, the Tablo 2 has no built-in interface, so you’ll be channel surfing like the old days. Even with fewer channels from your antenna’s OTA signals, it’s worth getting the Tablo 2’s program guide to find what you want to watch quickly. You’ll have to pay for the subscription, which breaks down as follows: $5 per month, $50 for one year, or $150 for a lifetime subscription. Also, you do have to get separate equipment (assuming you don’t have it already). Tablo 2 does NOT have storage—you need a USB hard drive to save recordings. Tablo 2 does NOT have an HDMI output—you need a WiFi-enabled device. This increases your costs if this is your first television setup, but we venture a guess that the majority of people these days either already have an external hard drive and/or streaming device. Who should get the Tablo 2? While we prefer the idea of a simple setup and having access to every channel we desire, the Tablo 2 is a great solution for people who aren’t sure they want to shell out the cash for a TiVo Bolt+ or DISH Hopper 3, but want more than just a Netflix or Hulu subscription. What do I need to use the Tablo 2? Roku, Android TV, Amazon Fire TV, AppleTV, or Chromecast. Note: You can also use the web-based app and your computer connected to your TV via HDMI. For laptop users, this is an easy workaround. What makes a good DVR? Capacity is measured in megabytes (MB) or gigabytes (GB)—and more is always better. 500 GB seems to be a good starting point for storage, but remember that the ratio of storage compared to recording hours isn’t the same across brands. If you run into storage issues, most DVRs have an eSATA port for an external hard drive. Always go off of specified hours, even though those are only estimates by the company and will vary based on programming. Recording is pretty universal across DVRs: either choose a single episode or select an entire series to record. This means you won’t have to set up your DVR every single week to keep up with The Walking Dead or The Voice—just once. Some DVRs even automatically record recommendations based on your viewing. 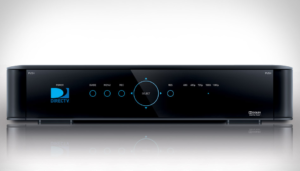 DISH Hopper 3 automatically records primetime television. While this may appear helpful, it may take up a good chunk of storage without you realizing it. Some DVRs expand your storage with cloud storage or an external hard drive, so keep that in mind as well when making your decision. Make sure the number of recording and watching streams covers your needs because if you have five people in your house and only four streams, someone is going to have to compromise. With the DISH Hopper 3, you can get up to 16 recordings going at once (which is ridiculous). When you use additional units like the Joey, Genie Mini, or TiVo Mini, you’re increasing the number of individual streams to TVs, but rarely (if ever) do these devices add storage. While pausing and rewinding are standard, fast-forwarding is a little less common because of licensing agreements. Companies make money from ad revenue, and advertisers pay only if they see results. Thus, TV service providers agree to disable certain content from fast-forwarding. That being said, we absolutely love when fast-forwarding is available. Better yet, we love when we can skip immediately to the end of a commercial. TiVo has SkipMode and DISH has AutoHop, both of which automatically go to the end of a commercial and remove the guesswork on your end, preventing possible spoilers—or at least some frustration. Basically, we want to make sure you get DVR service for every TV in your home. This ability has no standard industry term, so we’ll call it whole-home connectivity. According to the US Energy Information Administration, the average number of TVs per household is 2.3 TVs per house.2 Most DVRs supply service only to a single TV, so you’ll likely need an additional receiver like the TiVo Mini or DISH Joey to expand to other rooms. Certain DVRs excel at making sure the whole home is connected. The Hopper 3 supports up to seven TVs from one main unit, which allows the whole household to watch different things. On the other hand, Tablo 2 only allows one recording stream and one watching stream. Each company has its own way of providing whole-home connectivity, so unless this is your main concern, we recommend picking your DVR based on storage and other features. Over 55% of people consider mobile DVR service to be very important.4 Between huge streaming libraries and downloading recorded content, you’ll always have something to watch. On top of that, 30% of consumers use their smartphone while watching TV.5 Where you go, your phone goes, so why not your TV? Personally, we often use our tablets and phones to stream content from XFINITY, Netflix, and YouTube Red. To give you an idea, we’ve included a screenshot from XFINITY’s mobile on-demand interface. It’s easy to use, has all the info you need, and allows you to turn on closed captions and Spanish overdubbing easily. You can also “push” the video to your big screen when you’re tired of holding up your phone or when the whole gang needs to watch. 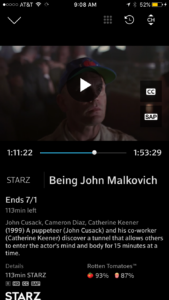 Whether you use your mobile device as a (voice) remote, schedule recordings while away from home, or just like having mobile and offline access, this is one of the best parts of modern TV. Those planning on using a DVR for more than three years should consider purchasing it up front. Renting is a better option for up-to-date technology, replacement equipment, and non-committed users. With third parties, part of the cost consideration is whether or not you’re going to stick with the same TV provider for a few years. While you may potentially have access to a better-brand DVR if you switch services, it’s nice knowing you have a reliable DVR no matter which provider you end up with—a big reason why we picked TiVo Bolt+ as the best this year. What makes a DVR cost-effective? So if you can choose a DVR for three years for under $540, you’re saving more than the average DVR user. This doesn’t take into consideration costs like repairs, maintenance, or upgrades, and it is also possible for subscription rates and fees to increase. Going wireless with your additional units can keep your place looking tidy and minimal. We’d opt for this to prevent drilling holes and running cables through walls. Installation costs vary with wireless units. DISH charges a one-time $25 fee per Wireless Joey, whereas DIRECTV charges a one-time fee of $99 regardless of whether you get one Wireless Genie Mini or four. This charge will vary company to company, but you can almost always expect to pay for this convenience. Some people might not want to fuss with a DVR, but they don’t know the power it holds. You can become the curator of a vast library of TV, control time with a remote (or even your voice), and instantly pull-up sport stats with a single button. Keep in mind, you can do all this on your couch. Future’s here, folks—it’s time to get a DVR. What is a Cloud DVR? A Cloud DVR’s storage is based on a company’s server, but it is accessible by users just about everywhere. Think of it as “off-site” storage for your DVR, which means you can switch devices and keep your library. Can I expand my storage with a hard drive? Most DVRs can expand their storage. Make sure it has a SATA port if you’re planning on adding an external hard drive. Any more questions about DVRs? We’d like to know what you think or if there’s something you’d like covered, so let us know in the comments! What is OTA TV programming? OTA is short for Over the Air. In many locations, you can receive free (HD) programming—all you need is an antenna. It’s a great way to save money and still keep up on the big networks, as well as a few movie channels and family favorites like PBS. With three broadcast towers within 50 miles, we could get an antenna with that mileage range for under $30 bucks. You can check out the 1byone 50 Mile Range Amplified HDTV Antenna, or if you need a greater range, the ViewTV Outdoor Amplified Antenna is a bit more robust and works within 150 miles. While Over the Air isn’t perfect for everybody, fans of network TV and sports can find a lot to watch. The following DVRs on our list are OTA compatible: DISH Hopper 3, DIRECTV Genie, and Tablo 2. Strangely, TiVo’s Bolt+ does not support OTA, but the regular Bolt does.